USA Powerlifting (“USAPL”) is the exclusive owner of all intellectual property rights for the marks “USA Powerlifting,” USAPL, and the USA Powerlifting logo (hereinafter, “USAPL’s intellectual property”). 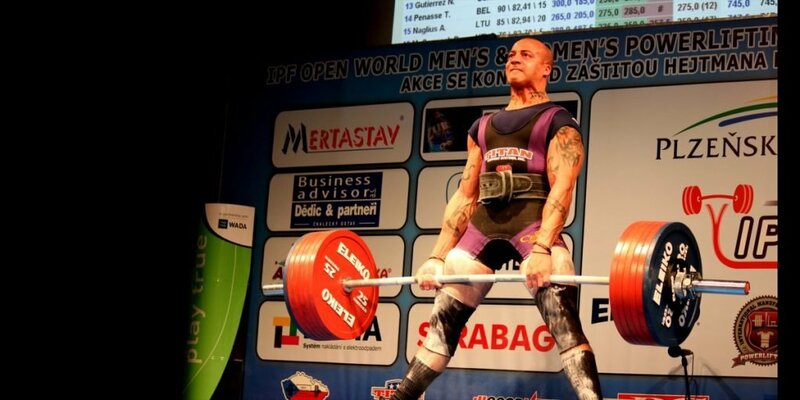 As such, USA Powerlifting is the only entity that is able to authorize use of USA Powerlifting’s intellectual property. For authorization to use the USA Powerlifting logo, name, or any other intellectual property, you must fill out the USA Powerlifting Logo Usage form, below. Fill out the USA Powerlifting Logo Usage Form prior to using USA Powerlifting’s intellectual property. Fill out the Artwork form (if applicable). Any use of USA Powerlifting’s intellectual property must be authorized by USA Powerlifting before the use begins. Anyone, including individual members of USA Powerlifting and organizations, seeking to use any of USA Powerlifting’s intellectual property must complete and return the USA Powerlifting Logo Usage Form linked-to below. The requested use must then be approved by the USA Powerlifting before any of USA Powerlifting’s intellectual property may be used. All artwork that includes any of USA Powerlifting’s intellectual property must be submitted for approval through Artwork Form below, prior to use or publicizing. What if I started using the USA Powerlifting logo/name already? Fill out the USA Powerlifting Logo Usage form and request retroactive approval. USA Powerlifting’s intellectual property shall not be used by anyone without completing the USA Powerlifting Logo Usage form and receiving written approval. We recognize, however, that occasionally people may inadvertently make unauthorized use. While we strongly discourage such unauthorized use, we do not want to discourage the continued growth of the USA Powerlifting-affiliated events. Accordingly, if any member or organization is currently using USA Powerlifting intellectual property without USA Powerlifting permission, we ask that they please complete the USA Powerlifting Logo Usage Form and return it for written permission. If you are notified that you are not authorized to use USA Powerlifting’s intellectual property, we expect you to request retroactive authorization immediately. Fill out the USA Powerlifting Logo Usage form and get approval first (see above). Abide by all rules discussed in the USA Powerlifting Logo Guide. In particular, don’t modify the logo and use the (R) symbol. If approved, any use of USA Powerlifting’s intellectual property must comply with the USA Powerlifting Logo Guide, linked-to below. Failure to comply with the Logo Guide will be considered unauthorized use of USA Powerlifting’s intellectual property. In particular, among other requirements discussed in the Logo Guide, the USA Powerlifting logo shall not be changed in any way, and shall always be displayed with the “TM” or “®” on the logo. Any modification of the USA Powerlifting name or logo shall be cause to terminate the authorization to use USA Powerlifting’s intellectual property. Penalties and fines are imposed for improper and unauthorized use of USA Powerlifting’s Intellectual Property.